We cover a large variety of topics on the PassKit blog, including loyalty, customer engagement, beacons, mobile wallet and the online-to-offline channel. This specific post is going to feature three current users of Loopy Loyalty. They all made a revenue-strategic and environmentally friendly choice by making their own digital punch cards, and I’ll explain why with the following example. A tree needs to be cut down. The tree is then processed in a factory, generating pollution. Cards are shipped to your designer, who will produce and box them up. Cards are then shipped to your restaurant, where a waiter needs to stop what he/she is doing to receive the box and sign the invoice. The waiter then needs to take the cards to the desk and processes them (unboxing, storage etc). Each time a client wants a card, waiters have to physically get them. Customers often lose or forget their stamp-cards, and you can’t measure how effective your program is performing. Every time a customer needs a stamp, easily apply one through the stamper app. No plastic or card waste, no factory pollution. Get analytics on customer behaviour (cards redeemed, time and date of redemption etc). This enables business to segment customer base on their preferences and deliver content that is relevant to them. Customers are quite unlikely to lose their phones, and therfore they won’t lose your card either. Send a lock-screen notification (like on whatsapp, watch an example here) to promote an event or special offer, directly to the customer phone. Use location-based marketing with GPS locations and beacon interactions. As you can see, there is quite a big gap between the old-fashioned paper punch-card, and the much more innovative mobile wallet technology. Let’s have a look at the three case studies we promised in our title. 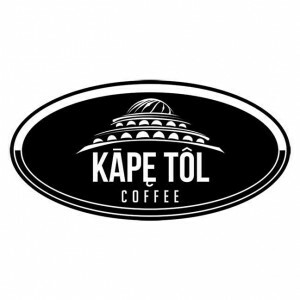 Kape Tol is a coffee shop in the Philippines, they started using Loopy Loyalty in 2015, and you can find out how they promoted their stamp-cards on Facebook by clicking here. They opened another branch, and they are still using the digital stamp-cards. At Kape Tol, they didn’t know Loopy Loyalty is FREE. In fact, when they asked to purchase more cards but found out they didn’t have to pay, here’s what the answer we got: “Wow! Amazing! Thanks so much!”. 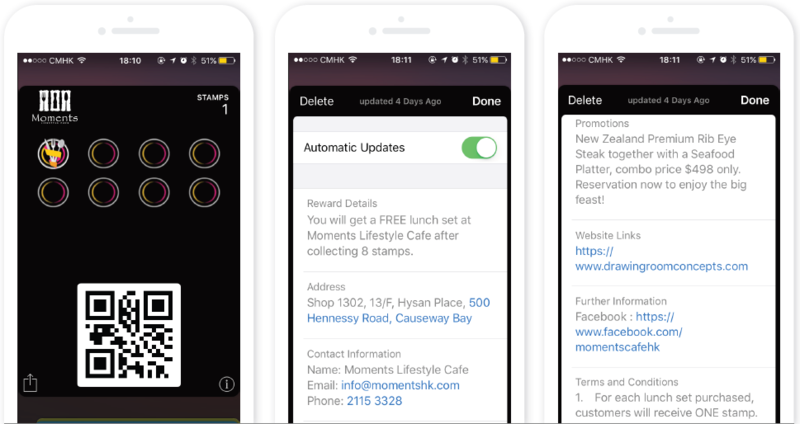 Moments Café is a cozy restaurant in the heart of Hong Kong, where they use Loopy Loyalty and mobile wallet technology to enhance customer engagement. How it works is pretty simple, after eating at Moments (you can find it here), you just open your digital wallet and show your Moments loyalty pass. When you are paying, the person who’s attending you just scans the QR code on your pass and a stamp is automatically added. On the 8th stamp you get to redeem a free meal. Below is a picture of how Moments digital stamp-card looks on your phone. As you could see, loyalty and engagement are dynamically growing and evolving toghether with technology. If you want to implement a similar solution for your business, pay us a visit on Loopy Loyalty. We also recently released a report on customer loyalty and engagement explaining in details the current situation of customer loyalty, and hottest trends for 2016. You can easily download it here. Lastly, you might be interested in watching some of our YouTube Videos on Mobile Wallet and Mobile Wallet Marketing. Stay tuned for our next updates!